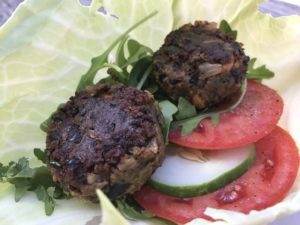 Not your everyday black bean patties! Combine beans, breadcrumbs, and salsa in a bowl. Smash together with hands or the back of a spoon. Shape into 6 or more cakes or patties. Heat 2 tablespoons of oil in a skillet. 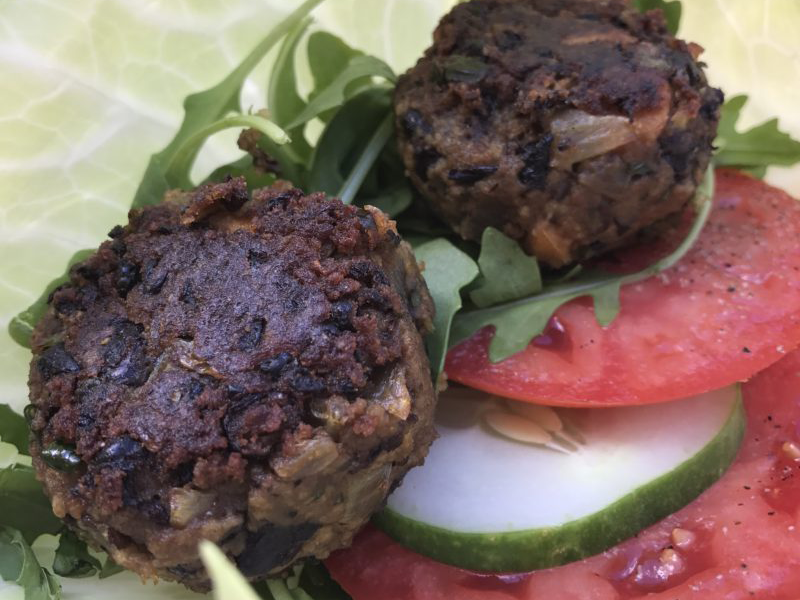 Cook black bean cakes over medium heat for 2- 3 minutes on each side. Serve warm, at room temperature, or cold. • Make a pita pocket with black bean cakes, shredded lettuce and cheese. • Serve on their own with a side of rice or pasta and a green vegetable such as string beans or snow peas. • Dip in guacamole, veg-wee dip, or salsa of your choice. Serve some chips on the side.